What was the most useful aspect of the conference for you? “Even better if……” What could we do to make future conferences better? May thanks – well planned! Thank you – having not been on a governor conference for a long time, this has given me a lot of food for thought about how important being a governor is and what I can offer to not only my, but other schools. Thank you – I enjoyed it! Thank you for keeping the motivation going! My first conference as a new governor and I thoroughly enjoyed it. Found it extremely informative and beneficial. Saturday morning is a good choice for most governors. Thank you team Stockport for another great, well organised conference. 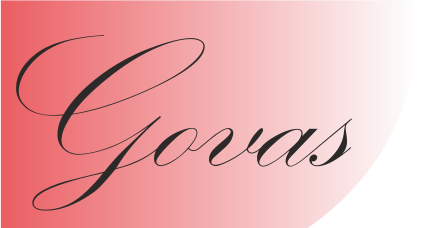 Thank you to GOVAS for all your work in organising the event and keeping us up to date with the news throughout the year it is much appreciated. I have now attended a number of GOVAS conferences and each time I have come away more enthused by what I have learned and from the other governors whom I have met. These have all been great events and this year is no exception. Many thanks. Excellent event every year – keep doing it! My first conference with GOVAS – I thought it would be a bit dry, I was very pleasantly surprised and relieved(!) to find out how inspiring and informative it was. Hugely appreciative of the work that goes into making this event so useful and informative – thank you! We were asked about collaboration as governors – would like to have details / list of other local governors to help facilitate this – possibly a forum? Thank you – it’s a great day! Q and A session good, but with time so tight, missing it out wouldn’t have been the end of the world!